As a bonus, I also share a breakdown – month by month – of what you should doing for your blog to grow. When I started my mom blog, I had to learn almost everything from scratch. I even shared my journey on this blog in the first year. I want to help others learn about mom blogging so that they’re successful from day one. Think of this as a blog business plan example for you! I also feel that moms have another layer to blogging – managing the home and nurturing our kids. And for working moms, adding a full-time or part-time job to the mix. You need the time to invest in your blog if you want to see it be successful. Whether you invest more time or more money, you need that strong commitment to seeing this through. Because this isn’t my first blog, I know what didn’t work, what flopped terribly and what methods allowed me and my husband to be able to work at home full-time as bloggers and writers. And you know what? This can happen to you. Just think about it – this time next year you can have a thriving blog that builds a tribe and community and supports your family every month. I’m ahead of myself already! Let’s break this down for your content strategy. To me, a mom blog doesn’t have to be about mom stuff. To me, a mommy blog is a blog started by a mom. You can have a tech blog like Leticia of Tech Savvy Mama, or you can have a food blog like Jacqueline of Mama’s Real Meals. Or even like me with a blog about…blogging and helping other mom bloggers! If you’re not sure if a mom blog is for you, consider these reasons for starting a mom blog. The first year of having twins I honestly felt like an extra from the Walking Dead! I didn’t sleep more than two hours at a time for 12 months. So, once I regained my sanity and my twins were actually sleeping through the night, I yearned for something more than the humdrum of folding clothes and changing diapers. I wanted to express myself and connect with other moms. Since I was a mom to twins, I didn’t do the mom-and-tot thing. It took an hour to get ready, and by that time I was tired to leave! So, when I started to learn more about blogging for moms, I was amazed by all these moms blogging! They wrote fun posts – like from Practical Mommy! – and shared amazing tips for other moms. I wanted to spread my creative wings and do that also! Are you a single mom like Laneic of Make It 218? Or, do you have a son with ADHD like Bonnie? Or maybe you struggled with postpartum anxiety like Lauren of Simply Well Balanced and figured out a way to rise above that. Whatever your story, you can start a blog and share it. This can inspire others and more importantly, help others that are going through the same thing you went through or are going through right now. I started Twins Mommy as a way to help other work at home moms with little ones. I had experience with balancing my blogging and mothering, and I wanted to share my tips with other moms. This is a fabulous way to start a blog. Many people start a running blog or weight loss blog to catalog their journey and to offer hope and inspire others. This can open the door to building a community, networking with brands and even create collaboration projects down the road. Many moms have built a career in many areas like law or nursing or photography. For example, Ray of Stork Mama is a midwife and L&D nurse. Her blog is filled with highly helpful tips for pregnant moms and brand new moms with newborns! You can use your experience from your job or career and turn that into a mom blog! Being a mom is stressful! We carry our entire family on our backs and ensure that the house is clean, that the kids are fed and that your marriage remains strong. Oh, and you have to be a good worker at your job too! When you start a blog, you can let out those emotions in a healthy way. While a blog is nothing like a diary, it can help you vent. Some of my blog posts on Twins Mommy are cathartic like this one. My maternity was ending, and I had to go back to work. But, the thing is, I couldn’t. My twins were so young, so precious that the thought of leaving them for more than 30 minutes was deeply agonizing for me. As well, the cost of going back to work wasn’t worth it. Daycare costs for twins would surely eat up any paycheque I received from working as well as the gas money to go to that work. I’m so grateful to my husband since he’s had his own online business for years when he suggested I work at home. 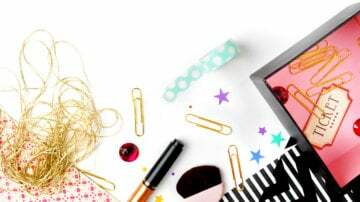 I had no idea me – a mom – could make a living from blogging! Can You Make Money With a Mom Blog? Stacy of The Soccer Mom Blog made over $11k in one month! Italian Polish Momma made $800 in one month! The Budget Mom made over $2k in one month! My blog also generates enough income for me to stay home for good! It’s entirely possible to generate income from your blog, but you do need a plan first. There are several ways you can make money from your mom blog. Let’s go through them all. Affiliate marketing is the easiest way for brand new mom bloggers to start making some dollars. What this entails is promoting a tool, service or product on your blog, in your email or on social media to your followers. If they click on your special link about that tool, service or product, AND that person buys, you get a kickback. This is a marketing strategy for businesses using affiliate marketing. And it relies on the performance of their affiliates. For example, if you become an affiliate for Target, based on the effort you do to promote Target products, you have the capability of making thousands a month. You can also become an affiliate for Amazon. Many bloggers join this network since Amazon has about a million or more products for you to promote on your blog. Plus, what’s neat about their affiliate guidelines is that the person who clicks on your link doesn’t have to buy that exact product. Amazon just wants you to bring a person to their Amazon page. Other ways to become an affiliate is to promote your web host and courses and/or eBooks you bought. For example, I offer an affiliate program for my courses. Depending on which program you choose, they can have a big commission like 40% or some as low as 6%. How can you make a living with affiliate marketing? The goal with affiliate marketing is to write to one type of audience that needs help with one type of problem. When you create a blog post with that intention around a product you are promoting, you will make some sales! You can also write that product post as a tutorial. Many people search online on how to use a certain item. When I first got my Instant Pot that’s all I did online! The same for my Moby wraps when my twins were babies. Another way to start generating money from your mom blog is to advertise on your blog. Just like there are affiliate marketing networks, there are Ad networks like Mediavine. This money-making strategy is entirely based on growing your blog traffic. The lowest tier to be accepted for placing ads on your blog with Mediavine is 25k pageviews. It’s a personal preference if you want to use ads as a way to make money. 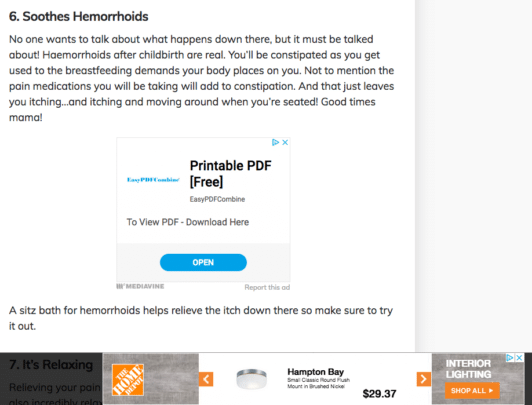 For Twins Mommy, I do have enough traffic to place ads, but this isn’t the right monetization strategy for this blog. I want to build a close community here and connect with other moms. While Smart Mom Ideas gets traffic, there isn’t much connection. I have no email list for this blog and very little comments. Smart Mom Ideas has a different monetization strategy than Twins Mommy. To have very few images in your blog post. I like placing images in my blog posts to make it easier to read. But, when you have ads, having images just clutters everything, making it hard to value the content a person is reading. Bloggers who have 100,000 pageviews or more can make a living from just displaying ads. 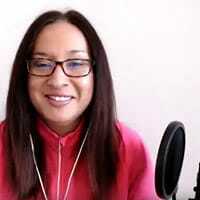 Carly of Mommy on Purpose makes around $5k a month JUST from ads. While Smart Mom Ideas isn’t there yet – or even close! – I know that the formula to get there is to increase my blog traffic. Use Pinterest to market your blog posts – make sure to grab my Pin Promote Planner. I give you a daily, weekly and yearly plan for Pinterest! Guest blog and get featured on other blogs – guest blogging gets you in front of a new audience and promotes your blog! Write highly valuable blog posts – I’ll help you with that later! The first time I started blogging, I started a service-based blog. This was a freelance writing blog where I promoted my writing services to small businesses. In three months I made my first $1k and kept growing my income. You can definitely start a service on your blog and start making money. Here’s a list of 22 freelance services you can offer! To get started, you need a PayPal address and a page on your blog that’s a Hire Me page or Services page. On that page, you need to speak to your ideal client and tell that person why they need you over someone else doing the same thing as you. In the beginning, it may be hard to “sell yourself” but as long as you have the right information like what you offer, how much are your services, how to contact you and if you’re taking on any new clients, you can get started. When you have a Hire Me page, you can use your blog as a way to attract your ideal client. For example, if you decide to offer Pinterest management services, your blog can be about Pinterest tips or managing a business and how to market it effectively. In those blog posts, you can mention your service or link to your Hire Me page. Personally, starting a service is the quickest way to make money. A lot of my freelance writing students agree! Once you have a Hire Me page, you need to start building your portfolio. So, if Pinterest management is your service, then doing some free work in exchange for a testimonial is a great way to start building a portfolio of your work. If writing is your thing, you can get paid while building your portfolio by getting paid to write! With your Hire Me page and samples, you can start pitching your services to your ideal client. For Pinterest management, you might feel that mom bloggers are your target audience. If that’s the case, then you can join mom blogging Facebook groups and slowly network with other mom bloggers. If you want to dabble in freelance writing, then finding the right job boards is important as you want to find quality projects. Can you make a living offering your services? Yes! Bloggers offer coaching sessions, masterclasses, retreats, and more charge hundreds a dollars to participate. You can also offer a service like freelance writing or photography and fill up your schedule easily. You’ll learn as you educate yourself about blogging tips that many bloggers massively grow their income by offering courses. For example, Create and Go reports their income based on course sales and affiliate marketing. I can say from experience that while earning money via your own products is highly rewarding and has the potential to make you a lot of money, you need a tough skin and motivation to keep trying new things (not all courses generate income and not all promotional strategies work). An email list – while you can make money with a small list, it’s a lot easier when you have a large list. 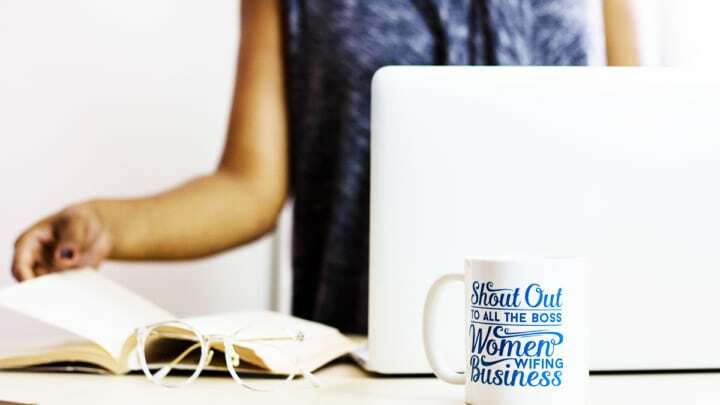 To be featured on popular sites – the big bloggers that make a living from their own products have been featured in Forbes, Entrepreneur, The Penny Hoarder or other popular places. Those blogs get millions of pageviews and to be featured like that opens the doors to more income. More than one blog (or more than one course) – many bloggers have more than one blog. Create and Go’s income is based on two blogs. I have two blogs with each blog having courses. A strong social media brand – big bloggers are usually popular on one main social media profile. For example, Create and Go is big on YouTube. Networking opportunities with other big bloggers – if you can hob-knob with other big bloggers in your niche, good things can happen. Because I’m a freelance writer and write for big digital brands, influencers mention me, like Neil Patel. When this happened, there was a boost in sales for me. More than one way to monetize – not all bloggers use more than one way to monetize, but many do. Many bloggers supplement their product sales with affiliate sales as I do. Online courses – most bloggers that are making a living from this usually have an online course, rather than printables or eBooks or items you would sell on Etsy. But, that’s not to say you can’t make a living selling your things on Etsy either! If you are serious about creating an online course I suggest you wait at least a year. Many bloggers that you see start a course within six months are doing this with their second or third blog – not their first. Also, big influencers preach not to monetize your blog for the first year. Personally, I don’t mind doing affiliate marketing at the 3-6 month mark for starting a blog. During this year you can also grow your email list. Your email list is what can help drive consistent sales and long-term sales. When you are ready you can use a courseware platform like Teachable to create a course. At first, you can create a free course using Teachable and become familiar with the tech set up, recording and all that good stuff. If you decide to try selling an eBook, then using a platform like SendOwl to sell your product is the best option. 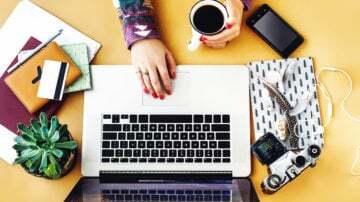 Are There Other Ways to Make Money Blogging? Yes! There are. Many of these options aren’t long-term or sustainable, but it’s something to consider if you need cash quickly. I urge you to check out this resource on 74 Ways to Make Money When You Want to Quit Your Job. I’ve met so many awesome mom bloggers in my Facebook group, Mom to Mompreneur that have inspired me. I also find wonderful blogs on Pinterest. The blogs on this list are successful in many different ways. Some inspire me, others teach me while still others bring me joy. I hope this list will also help you decide if you want to start blogging. There are different blog niches you can have and be successful with. This is just a handful of mommy blogs. Brandi is the mama behind Family Felicity. I’ve been following her a while and just love what she has been doing on her blog. She’s a fantastic writer and gives her all to her audience. Her content speaks to the core of the stresses of mom and the implications of how that’s affecting your children. For example, this post on the 9 things your kid wishes you’d do but doesn’t know how to tell you is has over 5k shares! Caroline’s blog, Swaddles N’ Bottles is such a wonderful resource for new and pregnant moms. Many of her blog posts are personal, but what she does to help her audience, is tell stories around pain points. For example, a popular post of hers is how she increased her milk supply in 30 days. Her pin shows HER and it’s HER story but she’s offering tips and suggestions to YOU! That’s what makes a great blog post that makes money! Melanie Redd’s blog is a Christian living blog and it’s so inspirational. She’s devotional and spreads her teachings on her blog. You don’t need to be Christian to read her blog – her posts speaks to everyone. For example, her post on if we are stuck in the comparison trap uses Christian values to help people get out of that mindset. Amanda’s blog Messy Motherhood is amazing. I refer to her blog if I’m having problems with my twins! She really focuses on calming down moms and helpful tips if you are an angry mom. She offers practical advice and easy advice too! Melissa’s blog Fireflies and Mud Pies is filled with beautiful crafts and fun for kids! It’s my go-to when I’m searching on Pinterest for kid crafts and activities! Her entire blog is around simple crafts – from her blog posts to her email freebie, you can just go to her blog and get everything craft related! It’s perfect. Crystal’s blog, Wannabe Balanced Mom, is an entire community! She has a podcast and she hosts events for other moms! I love her blog because it’s a lifestyle blog. She talks about life topics like having a healthy body image, self-care tips for moms, acceptance, and jealousy! I hope seeing how other moms are blogging helps you visualize your mom blog! I’m so fortunate to be able to stay home for good, take care of my twins and build the life I’ve always wanted. I know that sounds cheesy, but starting a mom blog can get you there. As I mentioned, it does take a lot of work though. You have to invest in your blog, and sometimes you have to sacrifice entertainment to find time to blog. Start your blog, create a blog post – If you create a blog post or two and then life gets in the way, that’s okay. Instead of periodically publishing a blog post, draft your blog posts until you have 10 or 12 posts. Then publish them once a week or twice a week. This helped me grow my blog to 40k in one month. Start your blog, create some blog posts – If you start your blog and have a few blog posts and then stop for six months that’s okay. You can boost your traffic if you create enough content to publish daily for 10-12 days. Of course, when publishing you do need to promote those blog posts heavily on Pinterest. Those are two hacks that I’ve done in the past and that has helped me boost my traffic. With these hacks, though, once you do them, you have to keep the “train moving” by having more content. So when you’re ready to consistently blog, then you can publish more blog posts after a slump from blogging. But, I’ll go over writing content later! For now, let’s start a blog mamas! Your blog niche is the topic your blog is about. You can have a lifestyle topic where you blog about a variety of things. For this type of blog, you do need one type of audience. So you can have a blog on organizing, frugal living and beauty and your audience are college students. Or, you can have a blog on pregnancy and postpartum and speak to first-time moms. When picking a multi-topic niche, just keep your audience in mind. Another way to look at choosing a blog niche is picking one thing to talk about. This is a core niche and is the most favorable niche to have. Why? Because you can monetize it quicker. Once a reader knows what your blog is about, it becomes easier to talk about you as the “go-to” person for “xyz.” For example, Abbey is my go-to source for anything about being a virtual assistant. On my freelance writing blog, I only talk to brand new freelance writers. This is my core niche blog for sure! If you’re passionate about one topic – newborn photography, early reading skills in toddlers, homeschooling, frugal living with a large family – then you can create an entire mom blog around that! For many people who want to start a blog, their blog name is the most challenging thing to come up with. But I want to assure you it’s not everything! And you shouldn’t focus on it. Try using your name – If your name isn’t that common, it might be a good idea to use that as your blog name. You can brand yourself then. You can be the crochet mom or the freelance writer like me! Mix and match – Pick fun names and mix and match. Sunny, fun, motherly, successful, fizz, loving, sassy, young, playful etc..
Use a keyword – If you have a keyword around your blog niche, then use it! For example, blog tips is a keywords so your name can incorporate that: blogtipsmama! Use your niche – If you decide your niche is all about healthy eating for toddlers then that can be your blog name! HealthyEatingToddler! Just remember, you shouldn’t spend hours coming up with the perfect blog name. As long as it’s easy to spell and it isn’t that long, then your blog name will be fine. Bluehost is the web host company that hosts your blog. Think of it as land (and your blog is the apartment). There are many other web host companies you can choose from, but I’ve found that Bluehost by far is the best when it comes to reliability and easiness to get started – especially if you’re not tech like me! You get a free domain – that blog name you were thinking of can cost money if you use other web hosts. 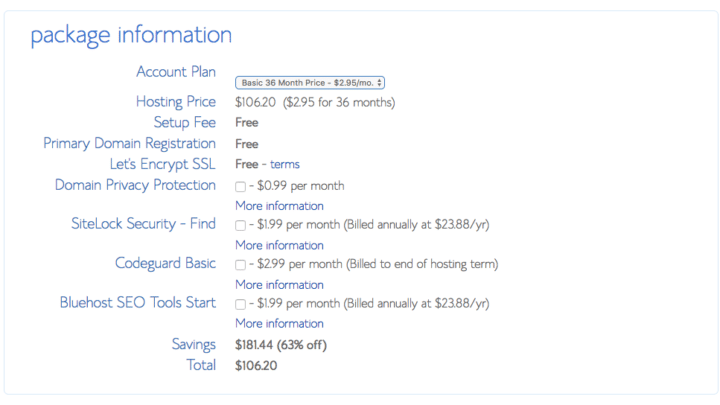 But, with Bluehost, you get that domain name free! 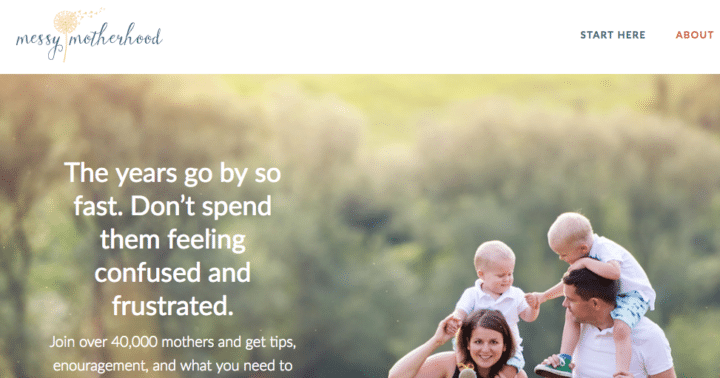 24/7 support – Bluehost has fantastic support for moms! You can call them, do Live chat or check out their resource page for common questions or guides. 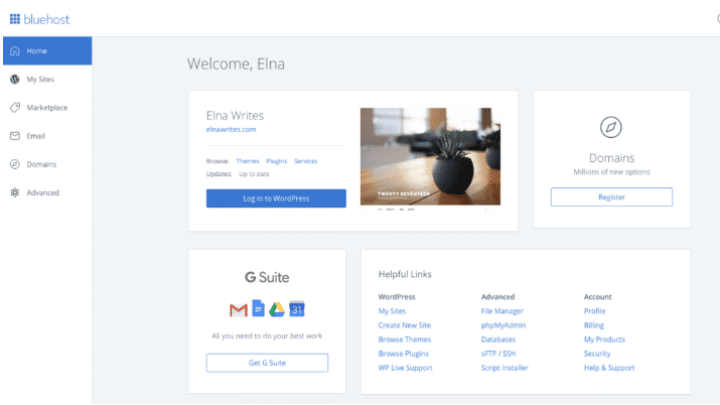 WordPress is already installed – Bluehost makes it a cinch to install WordPress. WordPress is the platform you use for your blog to be shown online. Think of this as the decorations in your apartment. It’s affordable – bootstrapping your first blog is totally understandable. You’re not sure if you will make the money back! That’s why starting with Bluehost is your best options. You can start a blog for under $100! You can’t beat that. 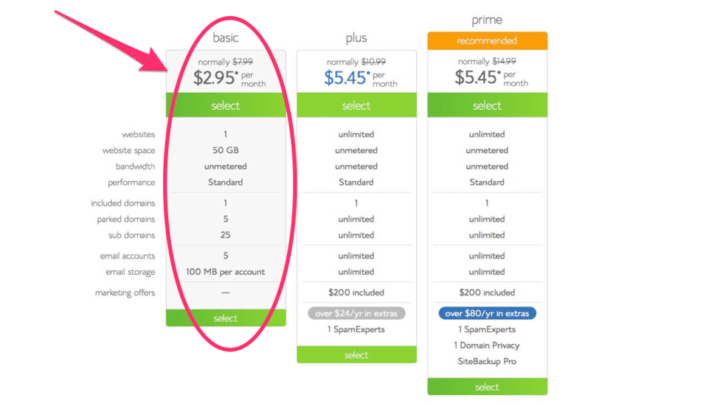 With Bluehost you have three plans to choose from: basic, plus and prime. For beginner bloggers, the basic plan is all you need. And if you use my special link, you get 60% off! You can’t beat that mamas! With the plan, you get one website (that’s one blog) and a free domain! When signing up for the basic plan, make sure to sign up for pricing longer than a year. You save even more money! Click on the plan you want to use and go to step 2. This is where you see if the blog name you decided is available. 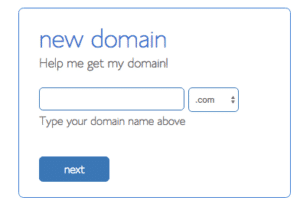 If not, just add identifiers like mommy, biz, crafts, the, etc.. One more thing, I would try to get a .com domain rather than any other type like .net as more people know to use .com than any other domain type. Make sure to pick the right plan (having the 36 month plan gives you the BEST savings! Plus, you don’t have to worry about hosting every year!). From here you figure out your password for your Bluehost account. This will be the primary way you sign into your blog. What’s great with Bluehost is that they install WordPress for you, without you realizing it! From here you can just go right into your new blog! Follow the prompts and you’re good to go. When you want to log into your new blog, just go to Bluehost and click on your blog! The foundation of your entire blog is your content. 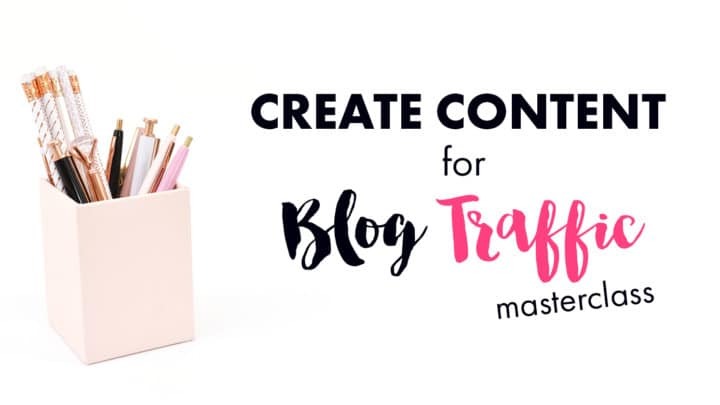 Around your content plan are the blog posts that will help you attract an audience and grow your blog traffic! But, how do you write a blog post that people will read and share? The rule of thumb is: write blog posts to help people solve a problem. And that means understanding your audience and finding out their problems so that you can write posts that solve them! Phew! To help you out, make sure to check out my masterclass that goes through that entire process and more! Once you have some ideas, you can start incorporating popular blog ideas. This will ensure that people will want to read your blog post! How do you find these ideas? An easy way is using Pinterest! Follow other bloggers in your blog niche so that your feed is filled with related content. For example, for my Smart Mom Ideas blog, I follow a lot of moms with parenting blogs. So, Pinterest knows that I enjoy parenting pins and shows that in my feed. Clicking on one of those topics gives me even more ideas with the tiles underneath the search bar. When you see a topic with a lot of tiles you know that’s popular and that people want to know more about it. The tiles you see first are the MOST popular. Next you want to start thinking about SEO. Search Engine Optimization is a way to help your blog posts rank in Google. Google is the ultimate source for traffic. Why? Because practically EVERYONE in the world uses Google. The potential for traffic is endless. So, a goal for many bloggers is to have their blog posts rank for relevant terms, but also highly-searched terms. Google wants to make sure that your blog post is about that main topic. So, how do you find these keywords? An easy way is to use a free resource like Keywords Everywhere. Download the Chrome extension and whenever you use Google, it will tell you some metrics. But if we look at the general keyword “breastfeeding tips” you will see a huge difference in search volume and competition. Generally though, your blog post isn’t going to be Breastfeeding Tips, right? You will add other words. So with this tool, you can try different combinations to get a good search volume (500-1,000/month for starting) and low competition. Should EVERY blog post be optimized for SEO? No. I don’t believe that you need to optimize it for SEO. Over time, if you build a successful blog that ranks, Google will rank almost any blog post for you as it’s a trusted site. I have this established for one of my blogs. Now that you have a blog post idea and a keyword in mind, you need to outline your blog post. Your blog post should walk a person through the setup, problem and then answer. It’s a great idea to use subheadings to break up your blog post. This blog post I’m writing is LONG, and I made sure to break it up with subtopics, lists, and images! From there you write your blog post. Try to aim for at least 1k words but 700 to start is fine! Try to write as if you’re talking to your audience or one person! In the first month of starting your blog, you want to write. Churn out content as much as possible. Many new bloggers batch content so that when their blog goes live, they have 20 posts ready to go. You can do this for sure! The goal is to be consistent and create a lot of content. During this time I would also start a Pinterest profile and a Facebook page. In the next month, continue to create blog posts. Some bloggers may want to start an email list, but it’s up to you. I waited to start! Start applying to Pinterest group boards and Facebook groups. I have a great guide for that! During this time I would also start writing blog posts to boost traffic. A great one is a round-up post. 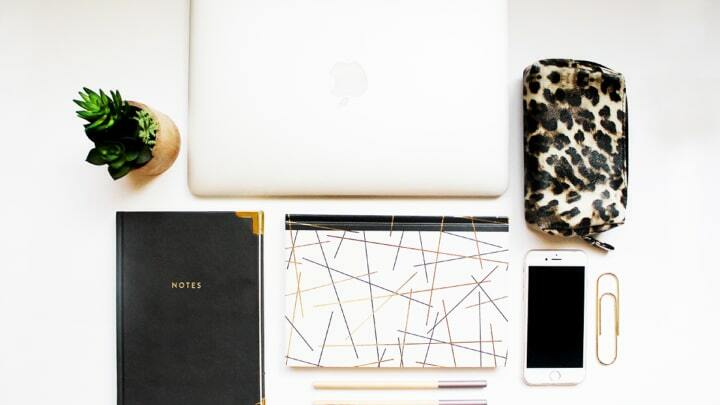 Start featuring other bloggers and round up some great resources. Month three you should start seeing some growth (or much sooner). Keep creating more blog posts and start heavily promoting your posts on Pinterest. I would invest in Tailwind and pin to highly targeted boards. 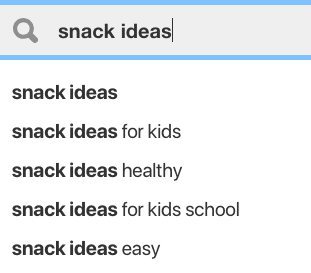 For example, if your post is about snack ideas for toddlers, pin that to a board about snack ideas for toddlers! Growing your email list and social presence is your focus for this month. Your goal is to network with other bloggers so that you gain more followers on social media. This may be the time you dabble with Facebook Lives or YouTube. For some bloggers, they may be thinking of monetizing their blog. As always, my suggestion is to wait as long as possible. You want healthy blog traffic and a following before you monetize. You can start researching on affiliate programs and write your first income generating blog post. For others, growing their email list is their sole focus. It was for me. I wanted to grow more as each month passed. I found ways to grow my email list effectively. Summer is coming closer and closer. This is the time that you might see a traffic dip or slump. That’s okay. During this time it’s your job to create more pins and create more blog posts. Being consistent is your game plan. 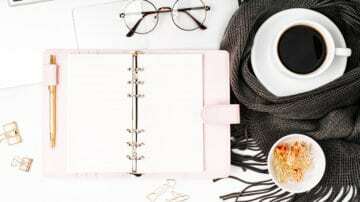 In the height of summer, you can start working on a product like a course or eBook, try creating more freebie ideas to grow your email list, and networking with bloggers to help with growing your blog traffic. Pinterest! Focus on Pinterest to get ready for the fall! Create more Pinterest boards, do some A/B testing to see if group boards are better than your personal boards. Start creating off-brand pins. Try new tactics for Pinterest. Create brand new blog posts and start publishing them consistently. If you have a product, this is a great time to launch your new project. This is the time to start creating seasonal content if your niche allows it. Not only holiday themed posts but self-care posts, productivity content, goals posts, and meal prep posts. For a lot of pinners, they are thinking about this type of content at this time of the year. You can start toying with a new lead magnet idea, course idea or eBook idea. Start creating income generating posts more frequently like gift guides. Try to do a blogging challenge like publish a blog post every day for 10 days or create a new pin every day for the month! Get ready for the New Year! Are You Ready for Blogging Mamas? I hope this content strategy plan inspires you (and not overwhelm you). Take it a step at a time mamas! And I’m always here for you. Join my Facebook group, Mom to Mompreneur, where you can ask questions and get some training too from me! Over to you – it’s your turn! What’s your mom blog about? How has the first year (or first month or six months) been? Let’s chat! Wow great information! I’m new to this and would love more help! I’m just not sure how to decide what type of blog I’m good at.. I have a few different topics I like, how do I pick one? Wow. My blogs are nowhere near that long with posts. I tend to keep mine small because I worry about losing readers. One slight correction I noticed is perhaps the requirements have changed, but I have ads with two companies and my total views for the time I’ve been writing is less that 2000. That said I’m not earning much at all ad wise, but for how small my following is, I’m not too upset. I had tried for months to gain income with offering services, but I don’t know if my skill has reached the level that would make me interesting. I run several blogs with various interests as I can’t hold to just one topic to save my life. I started blogging off and on way back when Xanga.com was popular. Stopped a while and then decided to start a blog as a way to help others who were in desperate financial situations as I was at the time. I didn’t monetize right away, but now I’m just working on creating content and working and raising kids. It’s a lot harder than I thought. I was drawn to your page because I’m the second half of a twins set, so twins in general are dear to my heart. I know it’s double the work, but it’s also double the joy and laughter! Thank you so much for sharing your heart! That’s awesome you have several blogs. I suggest you try to grow one at a time and focus on one at a time. Once all are doing well then you can work hard at monetizing them! I know you can do it! Thanks for stopping by! Hi Elna, This is an awesome piece of work. I have already bookmarked this post for future reference. Thanks for sharing. Thank you so much! So glad you started a blog! Enjoy the post! Wow, Elna, you really weren’t kidding with that title. This is an amazing guide! Ha! Thanks so much! 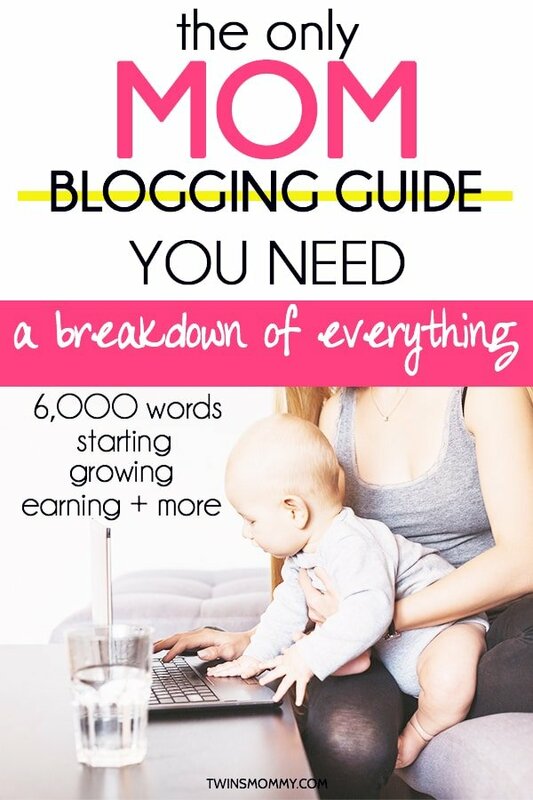 Glad you enjoyed this HUGE mom blog guide! I am so glad to find your blog via pinterest. I am a mommy and blogger to and so I can totally relate to all your suggestions. I have bookmarked this post and going to share it with my friends. Thanks so much! So happy you found this mom blog guide useful and thank you so much for sharing this post with your friends! Elna, you never cease to amaze me. LOL! The month by month breakdown is superb….handsdown!!!! I have enrolled in Ready, Set, Blog for Traffic and I cannot wait to start!!! Look out world, you’re looking at the next up and coming mom blogger. Thanks so much! Yay! Thanks for enrolling in Ready Set Blog for Traffic! Enjoy the video lessons! Wow! Finally, all the info in one place! I would have loved this 5 months ago, but I’m sure there is plenty of useful information here for me moving forward. Thank you, Elna! Thanks so much! So happy you enjoyed this HUGE mom blog guide!!! This is really the only guide a mom blogger will ever have to consult. A great resource Elna. I wanted to have a free resources to help other mom bloggers get started! Thanks for stopping by! Elna this was a fabulous post! I will be pinning and referring people here that have asked me how to start a mom blog, because that’s not what I blog about. 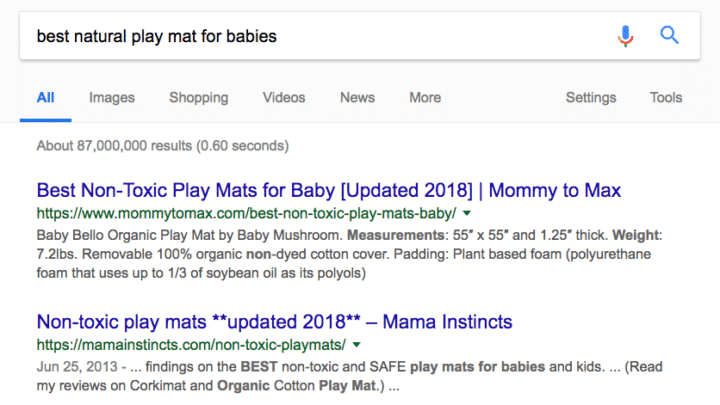 I’ve been a mom blogger strategically for 1 year now and know that anyone willing to google thousands of questions, implement one thing at a time, and never give up can do this. Last month was my first 4 digit earning month and I can’t wait to see what can come of it one year from now. Keep up the good work helping moms blog! Thanks so much for your help! I hope this guide helps others start a mom blog easily! Congrats on your first 4 digit earning month! You go mama! Wow, Elna! This is such an amazingly helpful resource for bloggers! I just love how you gave a month by month breakdown of starting a blog in 2019! Genius. I do believe there’s no better time to start a blog. I’m still astounded at how fast my own blog has grown in the recent months. Well I LOVE how your blog is evolving! You’re doing a great job! So happy you enjoyed Ready Set Blog for Traffic and the updated SEO module!